Do Prius problems extend to county fleet? SAN DIEGO, Calif. (CBS 8) - As the safety investigation into the Toyota Prius continues, the county is taking a closer look at its own fleet. You might be surprised to learn the county has an entire fleet of Priuses, including one that got into an accident Wednesday. 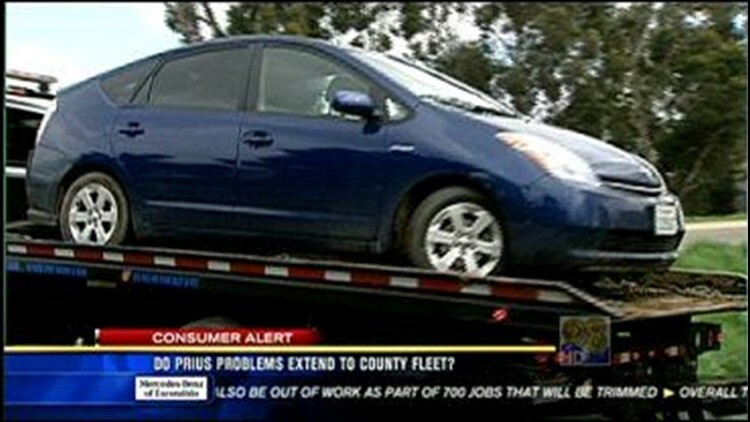 In this News 8 video story, Steve Price reports on the latest of Toyota's problems with its Prius.